What do you get when you pair a frenzied, one-eyed Romanian feral dog with a dynamic British author and rescue advocate? Enough adventure and challenge for a lifetime—as you will discover in this evocative narrative that brims with tension one minute and passion the next. Charlie is unlike any of Tenzin-Dolma’s previous rescues, due somewhat to a paucity of background she was provided as well as an incorrect age. Assignment Charlie falls not only on the author but her other household rescue Skye, a stabilizing force, and Team Charlie, a network of friends and professionals always just a phone call away for assistance. 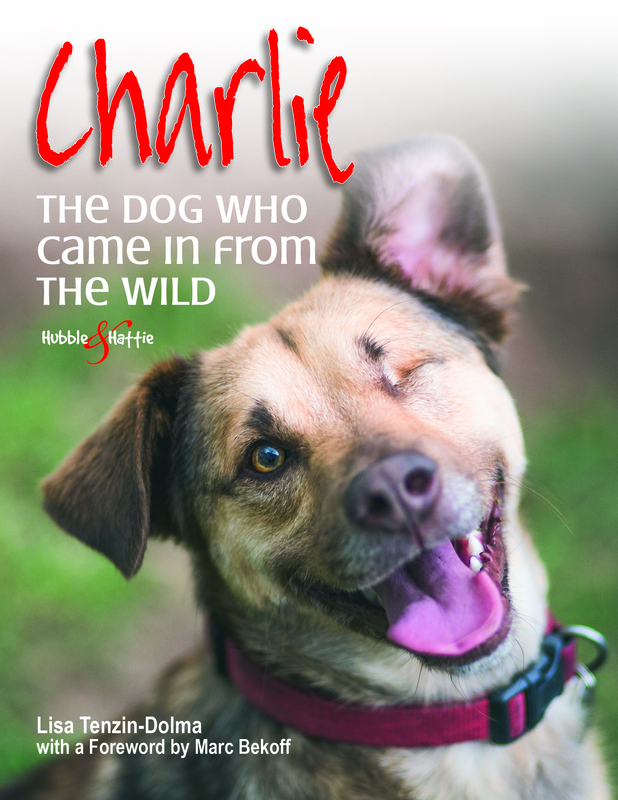 With Charlie, it isn’t always what you see is what you get. In fact, for a while Tenzin-Dolma is uncertain what breed this wild child is until a DNA is performed 18 months after his arrival. Swabs were sent to a UK laboratory and to the Veterinary Genetics Laboratory at the University of California, Davis, the latter prompted by his wolf-like behavior. The UK results flag up a mix of Japanese Chin, standard poodle, pharaoh hound, Petit Basset Griffon Vendeen, basenji, smooth fox terrier and whippet. The California wolf-hybrid test indicates no wolf genes. Socializing Charlie follows a pathway of baby steps, surprises and unpredictability at home and with neighbors, visitors and other dogs in the community. For instance, who would guess that the foreign sounds of a guitar and television would scare this feral creature that is basically being removed from a natural environment without boundaries into an alien one of imprisonment (if it can be defined thusly within a house and fenced yard). For her, watching a fearful dog gain confidence is an incredibly rewarding experience. But without a strong foundation built around kindness and trust, she notes, Charlie’s well-being would have suffered and his psychological turbulence would have been exacerbated. Within this engaging and ever-changing scenario, Tenzin-Dolma puts the big rescue picture in a rich cultural context packed around plenty of soul. But nothing quite prepared me for the shocking and sudden Postscript the resolute author serves up.